When I began overhauling the website back in 2015, I added some new content, including a page on how to make the cros Bríde. That page gives a little background and context to the tradition, including an overview of the different types of cross. Since there are plenty of guides, slideshows and videos online that show you how to make the four-armed style of cross, I decided to link to a bunch of those and concentrate on putting together an illustrated how-to guide on how to make a three-armed version there instead. It seems like a lot of Gaelic Polytheists prefer the ‘triskele’ style of cross (for obvious reasons, I suppose) and from what I’ve seen it’s been increasing in popularity in recent years elsewhere, too. In my experience, it’s a little easier to make, as well. It’s nice to change things up, though, so this year I decided to try my hand at making a different style of cross yet again – this one is the ‘interwoven’ or ‘interlaced’ style of cross, which I think is beautiful and reminiscent of Celtic knotwork… Since the original page I did is long enough as it is, I decided I’d add a completely new page for the illustrated guide to making the interwoven cross. I’ve also taken the opportunity to clear up the first page and correct or clarify a bit that could have been stated more clearly. As always I hope you find the new page useful, along with the rest of it! This entry was posted in update and tagged gaelic polytheism, imbolc, new stuff, tairis update on February 2, 2018 by annadmin. After initially deciding to scrap the “Article Downloads” page during the great migration last year, I finally came around to the idea of re-doing it – updating, expanding, and reformatting the page. Since I originally added the “Article Downloads” page, JSTOR has opened up to individuals and non-academics/students, and Academia.edu has gone a long way to make academic articles more accessible. That means there’s way more knowledge at our fingertips than there used to be, which is a great thing. Finding it and keeping tracking of it is the main challenge these days! So anyway, here’s the new page, and I hope it comes in handy. As always, I try to make sure that links are up to date and in working order, but sometimes with the sheer amount of links I’m dealing with, I might miss it. Do feel free to report any broken links. 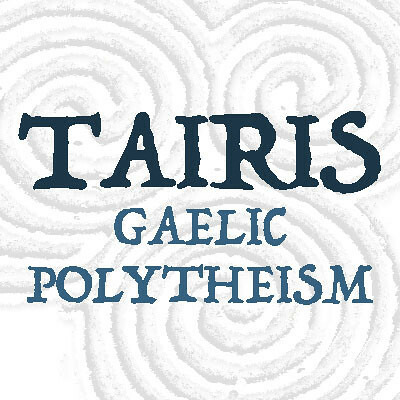 This entry was posted in update and tagged gaelic polytheism, new stuff, tairis update, useful links on December 6, 2016 by annadmin. As you may have noticed, things are looking a little different round here. After being very very broken and limping along for well over a year I’ve finally had the chance to overhaul and update the site, and I hope these changes prove to be for the better… All of the links should work now, the footnotes have been fixed, and over all I hope that the site is a bit easier to read and use now. Updating the site has been a big job, mainly thanks to the huge amount of footnotes that are on here. My intention there has always been to err on the side of caution and over-cite my work, if anything, because it’s my belief that the reader should never take my word for anything. If you want to know where I’m getting my information from then I want it to be easy for you to check on things yourself. But I do realise that there are a lot of footnotes, and it can be a pain in the arse having to jump down to the references to check on something and flit back up again. For this reason, I’ve coded the footnotes so that you can hover over the reference number and it will show you a preview of the footnote below. I’ve provided links to books or articles that are freely available online, where I can, but you’ll have to click down to the bottom of the page for those. While I was working away on moving all of the content onto this new site I took the opportunity to make a few tweaks here and there. A lot of the articles here were written almost ten years ago now, and in that time I’ve learned more about writing as much as I’ve learned more about Gaelic Polytheism. I’ve tried to smooth out the worst of the bad writing, at least(! ), and where my thoughts have changed, or information needs to be updated, I’ve tweaked things accordingly. On some pages I’ve just done a few minor changes, on others I’ve done a major rewrite or update. Some pages I feel should still be rewritten, but it’s just too big a job for me to do right now; I just have too much to do and I need to prioritise things and concentrate my energies where they’re needed most. I may get to those at some point in the future, when I have the chance. When I first started writing articles for Tairis there wasn’t a lot of consistency in how people described themselves. Some preferred to go by the more generic umbrella term “Celtic Reconstructionist,” while others tried more specific terms. There were so many of these, though, that identity politics was a really confusing subject in the CR world, but there was never much progress in coming up with some kind of “one-size fits all” label that some people had been arguing so passionately for. The debates raged on for years and they got pretty heated at times, and while I didn’t really join in with those conversations, I never felt the “one-size fits all” approach was going to work. I did make my own attempts at coming up with something that I felt described my own path, and that’s something that was certainly reflected on the old Tairis site… At first, the label I chose was ‘Scottish Reconstructionism,’ but eventually I decided that ‘Gaelic Polytheism’ is a better label and I rewrote some of the articles here accordingly. I didn’t manage to update every article, though, so the old site was rather inconsistent about what I was talking about, and who I was talking to. So that’s something that’s changed now: Gaelic Polytheism it is. Other changes I’ve done include a major overhaul of the offerings articles, and I’ve added in the Gaelic for the prayers I’ve given in the Daily Practices section (and got rid of Carmichael’s thees and thous in the translations). I’ve also overhauled the liturgy I’ve given in the Practices section, and I can only claim any linguistic mistakes as my own; consider yourself warned! While the articles in the Festivals haven’t been changed much, I’ve almost completely rewritten most, if not all, of the articles in the Celebrations section and I’ve added one on Celebrating Yule, too. 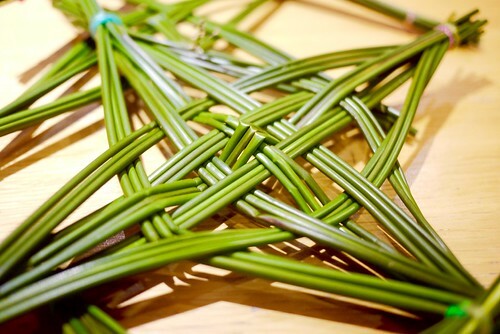 I’ve also added a new site map, and a couple of new pages/articles here and there, such as a page on how to make a cros Bríde (with a historical overview of the practice, too). As you might notice, I’ve chopped and changed the over-all ordering and layout of the articles, too. There’s a new section for ‘Values’ now, housing the four-part article I’ve done on that subject along with the article on Gessi and Buada. These were previously housed in the Cosmology section, but I’ve decided they should have a place of their own. I’ve also moved the Life Passages section to come after the Festivals and Celebrations sections, which I think makes for a better flow now. In the Resources section I’ve tried to make sure that all links are up to date and working, but for the most part I haven’t done much to it there. Given the fact that it’s now so much easier to get a hold of academic articles via places like JSTOR and Google Scholar, I’ve decided to scrap the Article Downloads page. Like I said, I hope you find these changes are for the better. If you don’t, though, older versions of the site can be accessed on archive.org, where you’ll be able to find the original versions of rituals or articles. This entry was posted in update and tagged gaelic polytheism, new stuff, tairis update on December 22, 2015 by annadmin.